Jumbo in name, jumbo in nature! The Classic Jumbo Chair is a satisfying, ample design; featuring massive pieces of A-Grade Teak that come together in this traditional family style, heavy duty chair. 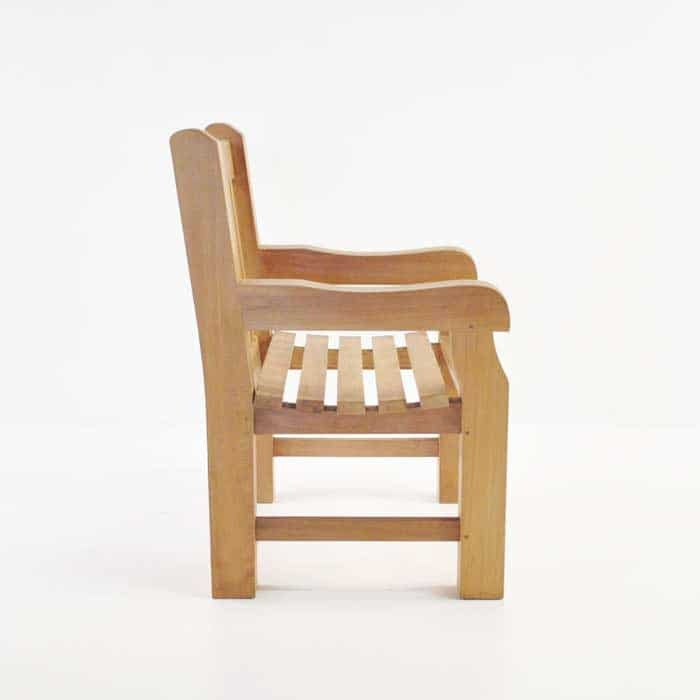 You’ll be wowed by the Classic Jumbo Chair. 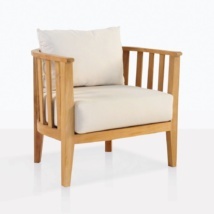 It’s squared off frame that has an amazingly thick frame, with curved armrests, slats running down the back and across the piece, all showcasing the beautiful A-Grade Teak whilst still being an excellent chunky piece that encourages relaxation and ultimate stability. Pop on the porch, or add to a larger area with your outdoor furniture. 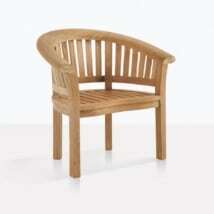 W33" x D26" x H40"
This piece is entirely constructed from beautiful, long lasting A-Grade Teak. Given the super ‘A’ award, our A-Grade Teak is sourced from plantations in Indonesia, cut down after 40 years of growth, the teak has had time to generate its very own source of rubber and oil, which, you guessed it, makes it stronger and more durable against the environment. 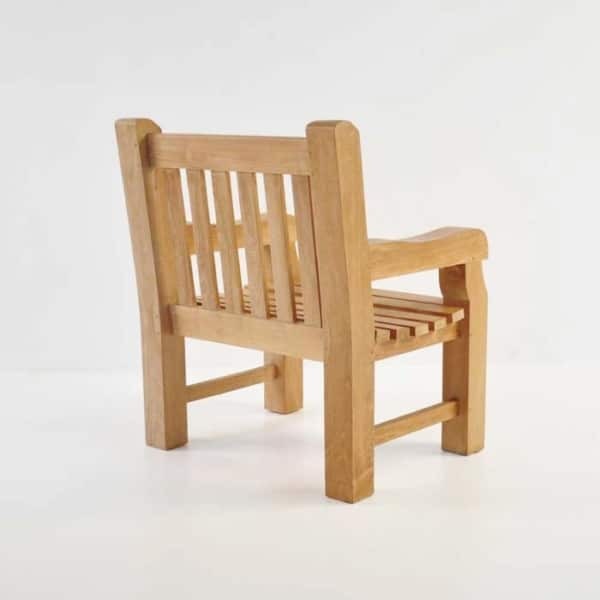 A-Grade Teak is the ideal choice for outdoor furniture because it looks beautiful, lasts longer than other outdoor woods and is extremely easy to maintain. At Teak Warehouse, we sell our teak as ‘raw’ meaning we don’t treat it with anything as we just love how it looks when you let it patina to a pretty gray color. All that is required is to wash it down a few times a year, soapy water a sponge or brush, a 5 minute makeover and your teak will look beautiful year round! If you prefer the honey color of the natural teak when it arrives, then we recommend you purchase a marine grade sealant or oil, it can be purchased at your local marine store. Just tell them you have A-Grade Teak and they will know exactly what to do! 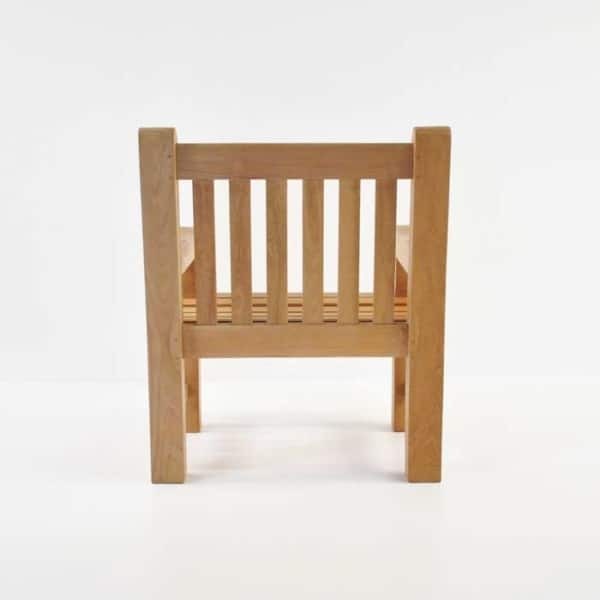 At Teak Warehouse, we are proud to host A-Grade Teak and a great range of other outdoor appropriate products in our California warehouse that we ship all over the United States! Choose another relaxing chair in Viro® All Weather Wicker or a lounger in Batyline® mesh, fancy a spin on your teak dining table? We have chic options with #316 Stainless Steel® and powder coated aluminium legs! 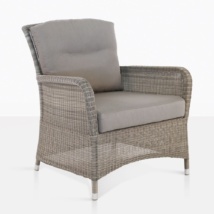 Everything you need for outdoor furniture! Umbrellas, accessories, benches, deep seating and much, much more. Our sales staff are in store 7 days a week, so contact us now to let us help you find the best mix for your space. We are only too happy to help. 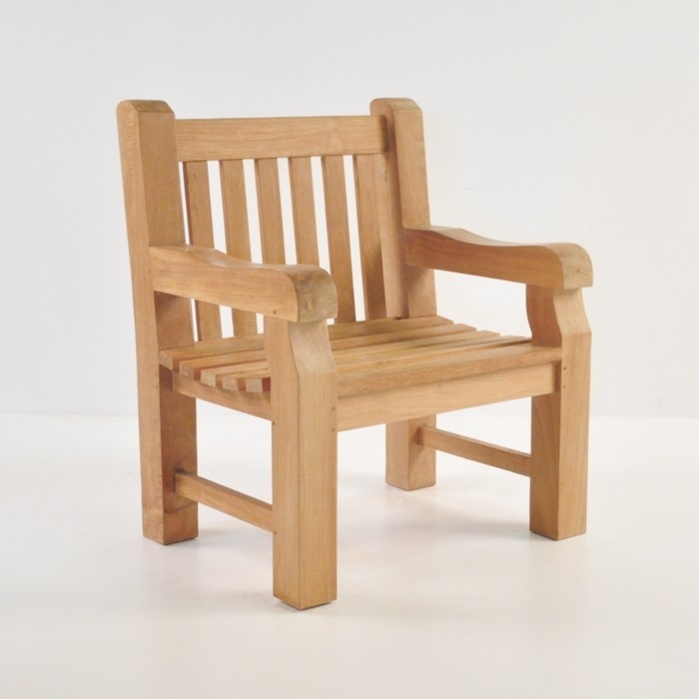 Part of the ‘Jumbo Collection’ including two Bench options, the Classic Jumbo Chair is a wonderful chair on its lonesome or as part of a gorgeous teak setting, an alternative to our deep seating collections. Make it cozy and comfy with two of the Classic Jumbo Chair and one large matching bench! Adorn with a couple of bright throw cushions and place a large Sunbrella® Umbrella to shade you from the harsh sun. You’ve immediately created a lovely area to enjoy your garden! The Classic Jumbo Chair is also an ideal chair for the front porch, laden with cushions or blankets, you can tuck yourself up on a cool Autumn night and enjoy relaxing in your surroundings. 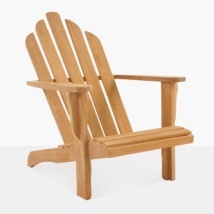 The Classic Jumbo Chair is a staple piece, unique to Teak Warehouse and soon to you! Order yours today!